It was just two days, but we were in a mini-time warp. Grandma Peggy and I took a driving trip to Shipshewana, Indiana. We wanted to shop at their famous flea market. It has been at least thirty years since I’ve been there and ten years since she has been there. I am sorry to say that the quaint flea market loaded with old junk and crafts has given way to Taiwanese junk, and very few crafts. I was totally disappointed by the market. We did enjoy the ambiance of the town. 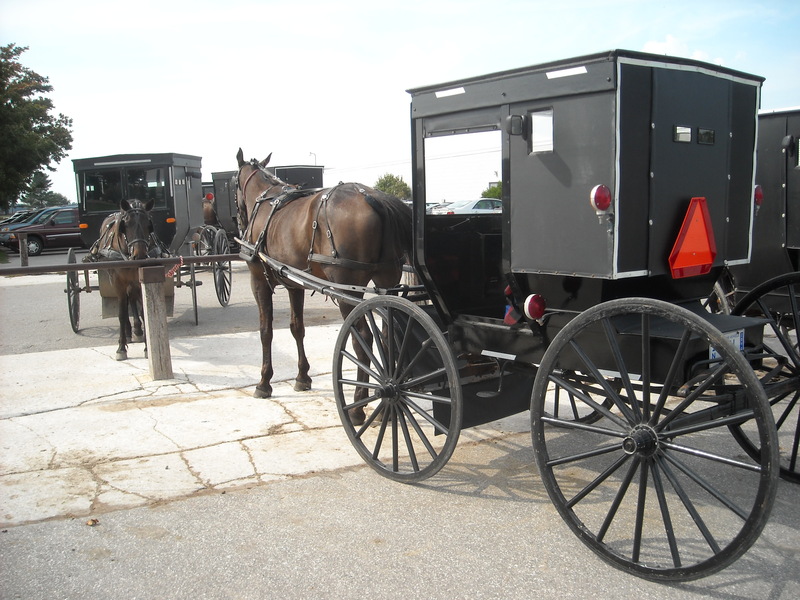 The Amish still tool around in their black buggies pulled by high-stepping horses. They were a joy to watch. I also enjoyed touring Yoder’s Department store. Thirty years ago they were a small wood building packed floor to ceiling with stuff to make an Amish life easier. They still have all the stuff one needs to live without electricity and gas-power, but now the store is the size of a Wal-Mart. We enjoyed a great dinner at a restaurant called the Blue Gate. The next night we dined at a place called the Pioneer Steak House, and experienced a total disaster of overcooked steaks. Peggy actually left a T-bone on the plate. Normally, she will polish one off with the enthusiasm of a hungry coal miner. The second day it rained, so I decided to leave early and to take the back roads home. It took a little longer than it would on the interstate, but the fall farm scenes were worth the time even in the rain. I reflected a lot on the value of an Amish life style. It is a simple life based on a strong belief in God and filled with the labor of staying alive by farming and living off the land. At my present age that appeals to me more than it did when I was much younger. Maybe it is because I am so much closer to meeting God than I was a few years ago. In the short time we visited the town, we managed to buy a trunk load of stuff to remember the day. One of our favorites was a lighted bouquet of plum flowers. 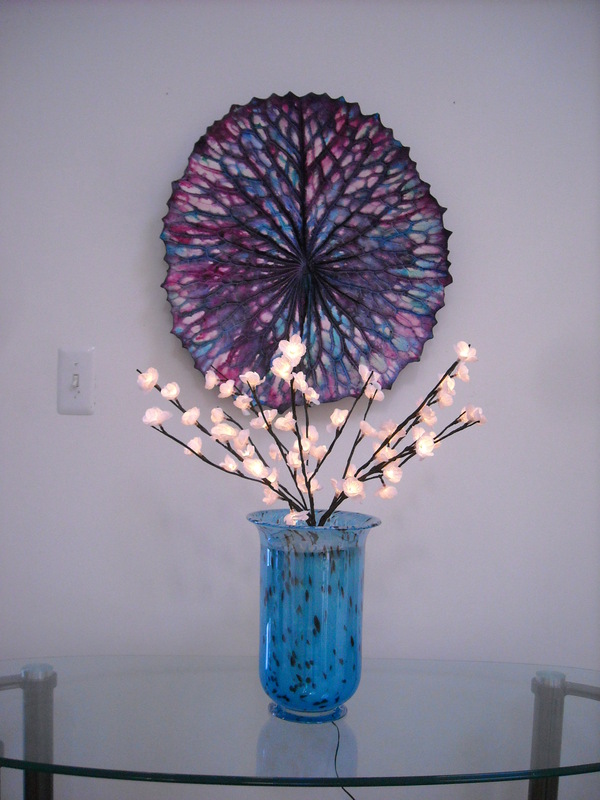 We have it on display in a simple blue vase under our tie-dye lotus leave. When we turn it on in the evening, it becomes a special art piece that makes us happy.